OMG! Love this card! Thanks for the smile. Such a cute card Linda! Love the added koala bear! 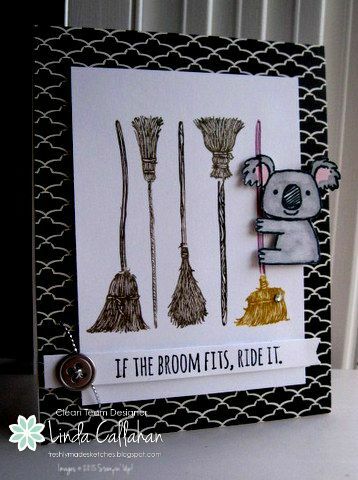 Love this card...the koala just brought the biggest smile! oh my goodness - I seriously laughed right out loud - fortunately the dogs are used to me :D Thanks for sharing! Oh, that is so cute! You and your clever self always so creative!